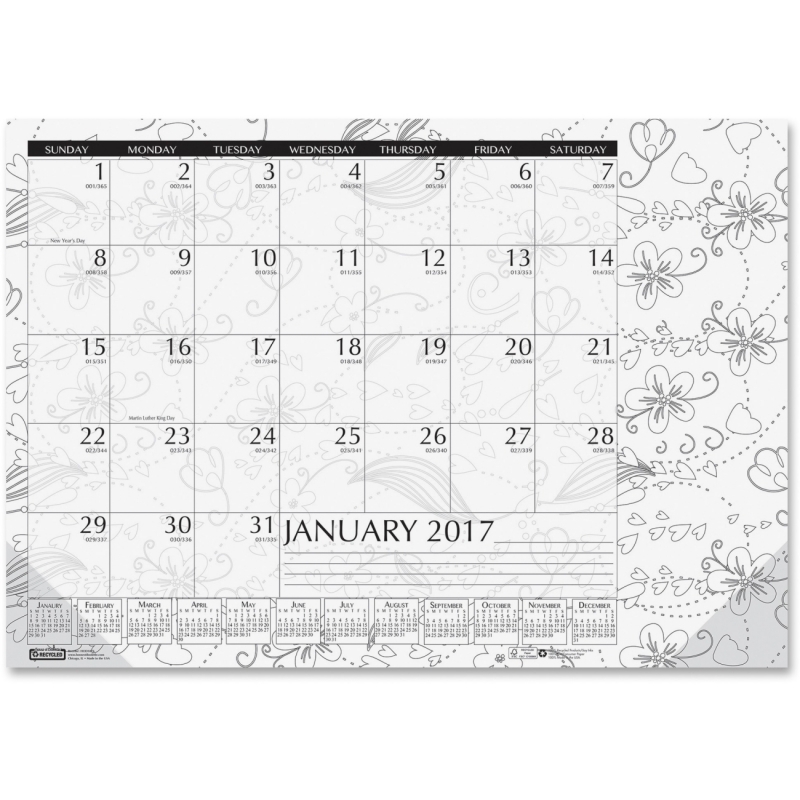 FloraDoodle Weekly/Monthly Planner features white flowers on a black backdrop with a scribble look where flowers, petals and squiggles lay overtop one another for a one-of-a-kind pattern. 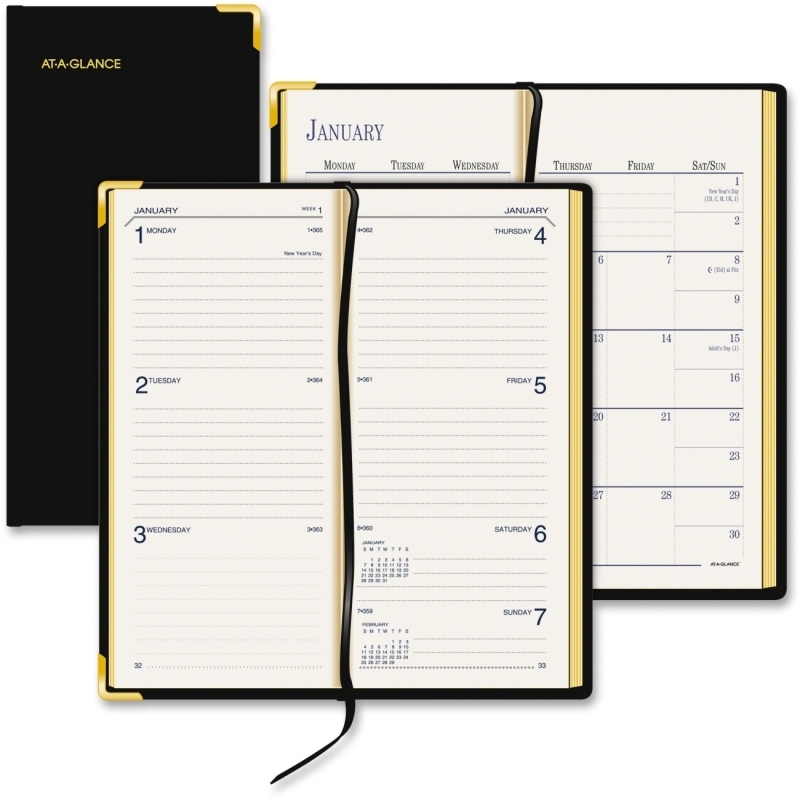 Dated planning pages range 13 months from January to January and include count of days/days remaining. 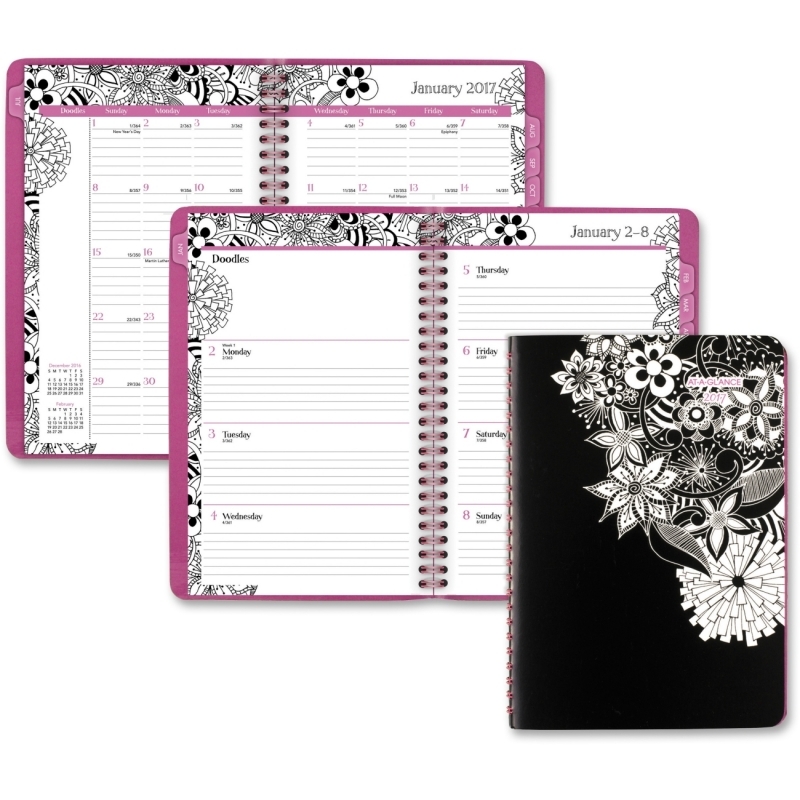 Each page of the FloraDoodle planner features bold black borders with the white flower pattern across the top. A blank space for doodles starts off each week to spend free time drawing. 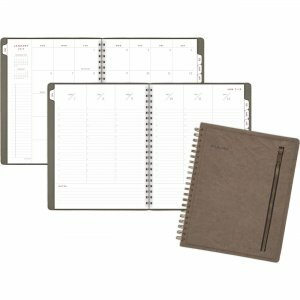 Two-page-per-week spreads also include numbered weeks and equal-size planning spaces for each day of the week from Monday to Sunday to promote time management. 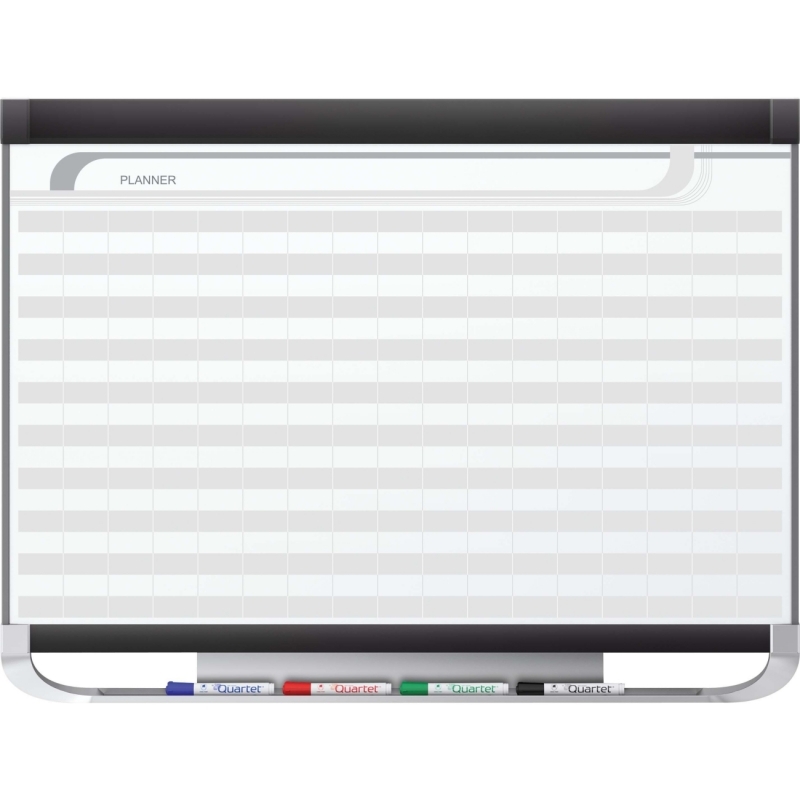 Tabbed, two-page-per-month spreads provide ruled daily blocks for reminders on key dates; blank doodles space and past and future months reference to manage upcoming events. 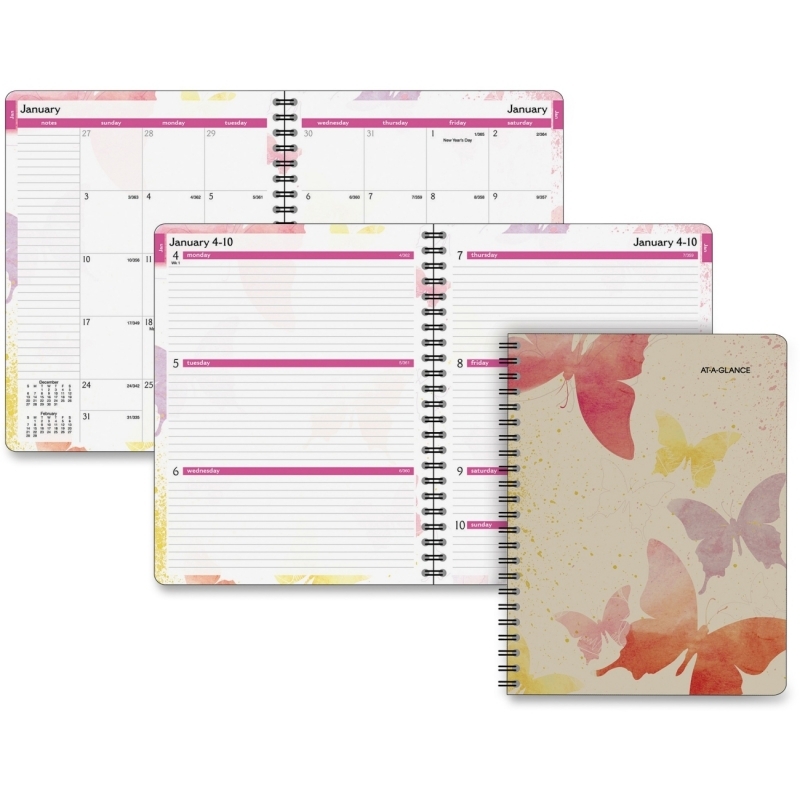 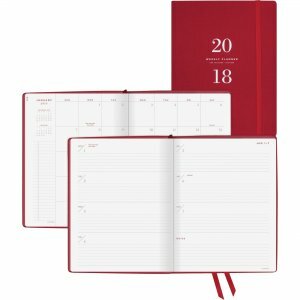 FloraDoodle planner is wirebound with pink wire, and the interior of the front and back covers are a matching pink color. 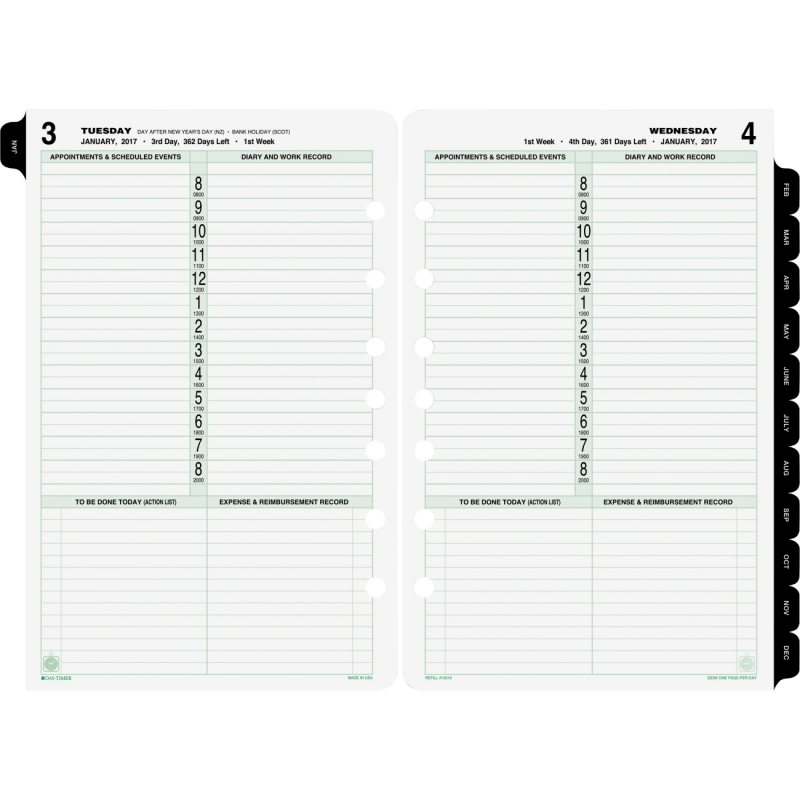 Pages are printed on quality recycled paper that resists ink bleed.